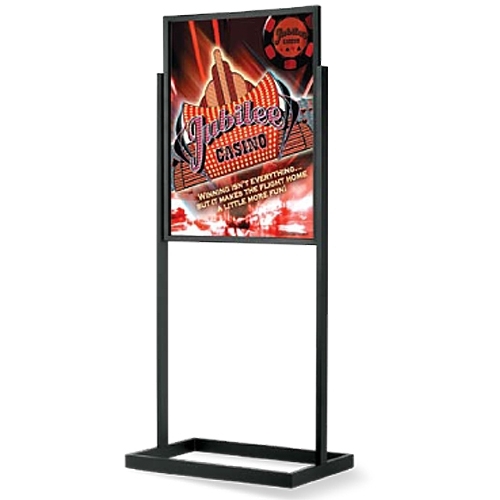 For an upscale presentation, showcase your posters with our Deluxe Poster holder. Display frame features a quick change split-rail frame top and large 22" x 28" graphic area. The heavy duty rectangular tubing base with dual pedestal support is complemented with a durable satin black powder-coat finish, perfect for high traffic areas. A durable low-cost display!